Marcia has a number of presentations, which she can tailor to fit your audience or occasion. 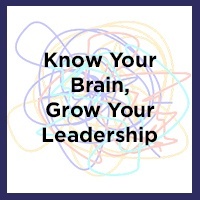 Know Your Brain, Grow Your Leadership: New findings in neuroscience provide key insight in to how people behave and offer hard scientific proof for many management and leadership theories. 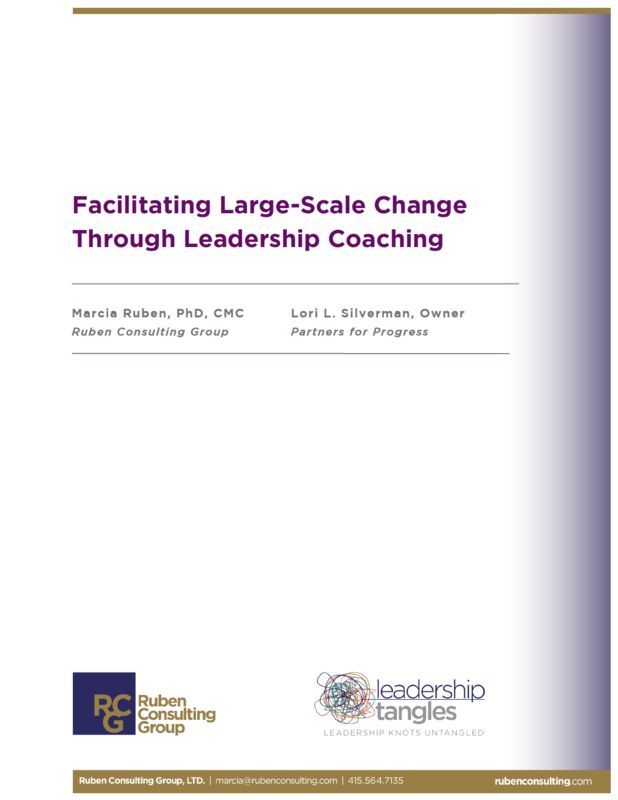 In this interactive session, Dr. Marcia Ruben will share some brain basics, the social drivers that trigger threats or rewards, and how to use this information to lead more effectively and empower yourself and others. 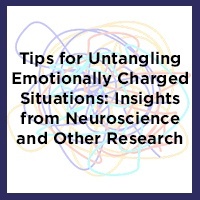 Tips for Untangling Emotionally Charge Situations: Insights from Neuroscience and Other Research: Are you mystified by complex, emotionally charged situations within your organization? 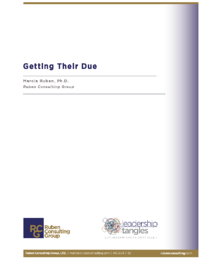 You are no doubt aware how hidden, unspoken, and emotionally charged situations can damage interpersonal relationships, team functioning, and organizational effectiveness. 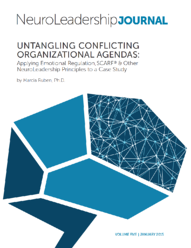 Drawing both from practitioner experience and recent research, including, neuroscience can facilitate an understanding and untangling of what Marcia calls LeadershipTangles™. 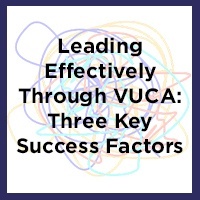 Leading Effectively through VUCA: Three Key Success Factors: How can you win the hearts and minds of your workforce while implementing major change? 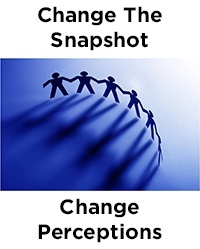 Marcia shares valuable practical tips that will help you realize a return on your investment in your change initiative. 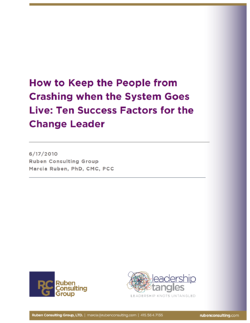 She discusses, with insight and humor, the typical people issues that can derail a change effort, and suggests ways to build and monitor a plan that gets results and engages your workforce. 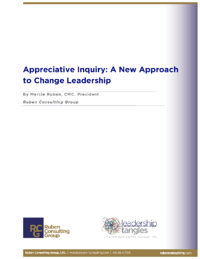 "Marcia is an articulate, dynamic presenter who connects easily with her audience." 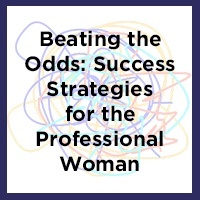 Beating the Odds: Success Strategies for the Professional Woman: What separates the women professionals who reach the top of the corporate ladder from the ones who don’t? Marcia has interviewed more than two dozen successful men and women, and tapped the wisdom of her own experience to answer that question. Looking for the causes of success, rather than the source of failure, she found specific differences in mindset, competencies, and rules of the road that contribute to success. From that research, Marcia has formulated specific strategies that women can follow to help them achieve their desired career results. 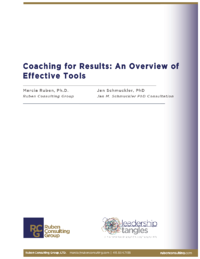 "Your presentation was engaging, well researched and received praise from everyone I talked to." 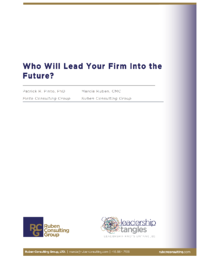 Leading Effectively During Tough Times: Key Success Factors: How can you realize your power as a leader to shape your company ’s culture and results? 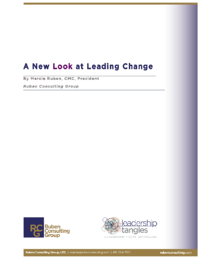 To effectively lead change, you must first understand your role in shaping the everyday attitudes, beliefs and values that drive employees’ performance. 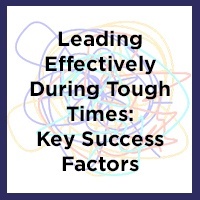 In this engaging talk, you’ll learn about the mindsets, skills, and strengths you need to be a successful leader during turbulent times. 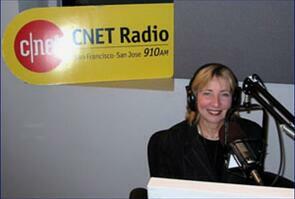 Listen to Marcia on the Radio!